We live in a world today where screens are everywhere. Whether they belong to a TV, billboard, computer, phone, or tablet, some screen somewhere is flashing something, screaming at us to pay attention to it. While this makes for an exciting environment with no shortage of entertainment, how does this affect the kids? The answer is: not good. Keep reading to learn how screen time is negatively affecting your family and what you can do to help. According to recent statistics, over 50% of Taiwanese have a smartphone. This is no doubt higher for Taipei. While smartphones are amazing machines that increase productivity for the busy working parent, they are not babysitters or teachers and can be downright dangerous for a child to have unrestricted access to. Many of us parents out there are guilty of using a screen (whether it's the TV, smartphone, or computer) to distract the kids to get a chore or two done while at home. There is nothing wrong with doing this occasionally, but to make a habit of letting your kids use these devices has its adverse effects. A fantastic article recently posted by the Huffington Post lays out the dangers of too much screen time for kids. The gist of the article is simple, too much screen time is definitely not good, and most likely pretty bad. Too much screen time limits kids' social and physical development, impedes brain development, limits a child's creativity and ability to entertain herself, tends to increase behavioral problems, and increases access to inappropriate content. Perhaps the biggest takeaway from the article should be that children under two suffer the most. The American Academy of Pediatrics recommends no TV or other screen time for children under 2, and stresses very limited time for toddlers as well. 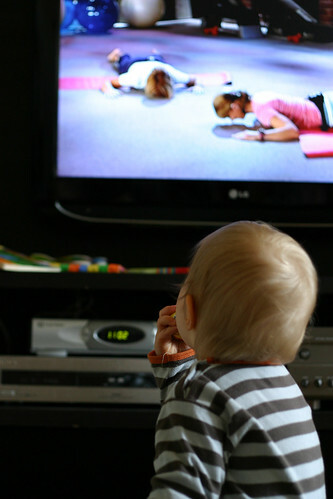 The research has grown up in this field, and it is becoming increasingly clear that TV for really young children has no positive effects, and it quite possibly bad for them. Screen time is not good for your family either. Your screens take your attention from your kids. Parents who are on their phones or computers do not communicate with their children as much, slowing language development in young children. Kids above all else want attention from their parents, so don't kid yourself that your child isn't feeling jealous that a tiny machine is getting your attention over her while in the park or at home. How would you feel? Healthy child development needs a sensory rich environment which is the exact opposite of swiping a finger across the screen or staring at flashing lights all day. Take your kids to the park, the museum, the library, or on a bike ride. Get them out of the house, enjoy the outdoors, or sit down and read together. Let your kids be bored. "What?!? But that's when they are the most annoying!" Yes, but everyone needs to get bored. Even you. Rushing to pick up your device to check your Facebook feed or Line messages every time you idle is just a way for you to avoid feeling bored and alone. We need to feel that way. Why? It helps us think about our problems and face what we need to do. It forces us to be creative and solve problems. Boredom is uncomfortable, but it is a necessary human emotion. The sooner your children learn that, the better for you and them. Thank you for taking the time to read this article. I hope you have come away with some valuable information. Nothing is more important than our children. We want to give them the best and raise them the best we can. To do that, the science is pretty clear: limit their time in front of screens and set them free to experience the world as a child.